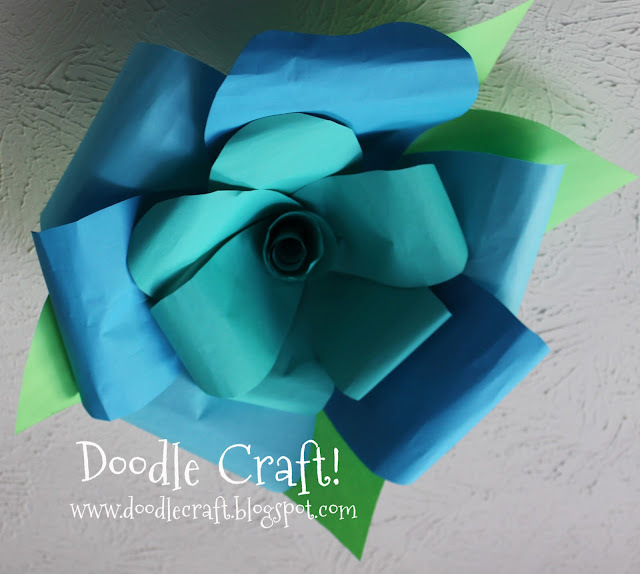 DIY: Crepe Paper Flowers Bouquet! I love paper flowers. They make me so happy. I am so allergic to flowers, their sweet scents are just ghastly to my sinuses and I start to get flu-like symptoms, so it takes me a couple days to realize that the issue is with the flowers. I think this is where my love of paper flowers and faux succulents comes in. I love not having to worry about all the side effect of real flowers. These crepe paper flowers are gorgeous. They look so much prettier and delicate than silk flowers and have the same effect as a fresh bouquet of flowers on the table. I love the big peony like flowers! Italian Crepe paper, this is by Lia Griffith. This is some I got on Amazon. It's a great price for a perfect variety of realistic colors. I priced out all the sheets of crepe paper I could and this was the best value for the amount and variety. This is all you need to get started...well, and a hot glue gun, scissors and a stick. I used wood dowels, but even sticks from a tree would work! For these flowers I used the light pinks, yellow, white and light green. You are basically creating a flower yourself. Did you ever pick a flower apart saying "he loves me, he loves me not"? If so, you know how flowers are layered and the petals get bigger and bigger. Start with a strip of yellow. Cut it about 1.5 inch wide and about an 8 inch piece. Cut little fringes down one edge. Cut the petals out of the paper you desire. Make it so the grain of the crepe paper is the tall way on the petal. Pull the crepe paper open a little on each petal to give it a round petal shape. Use some hot glue on the end of the dowel and roll it on the end. Hot glue in place. Now use a dot of hot glue on each petal and over lap them around the yellow center. Layer and layer over and over. Cut longer petals as it gets bigger. Then cut some long pieces of green for the base. This will cover any irregularities with the petals. I left the stick as is, you could cover it if you wanted to. Then plop them in a vase...maybe cut the sticks different lengths for staging. These would be gorgeous for a wedding bouquet! Or all the flowers on the tables, great for events or centerpieces. "can I use crepe paper streamers"
Yes. The hot pink flower on the right was done with streamers. It does not stretch like the Italian paper...to give it those darling rippled edges. It is not a natural color either. It turned out pretty, but not as realistic. I used white and pink petals on the flower on the back right below. The coral paper is so soothing! I really like them. 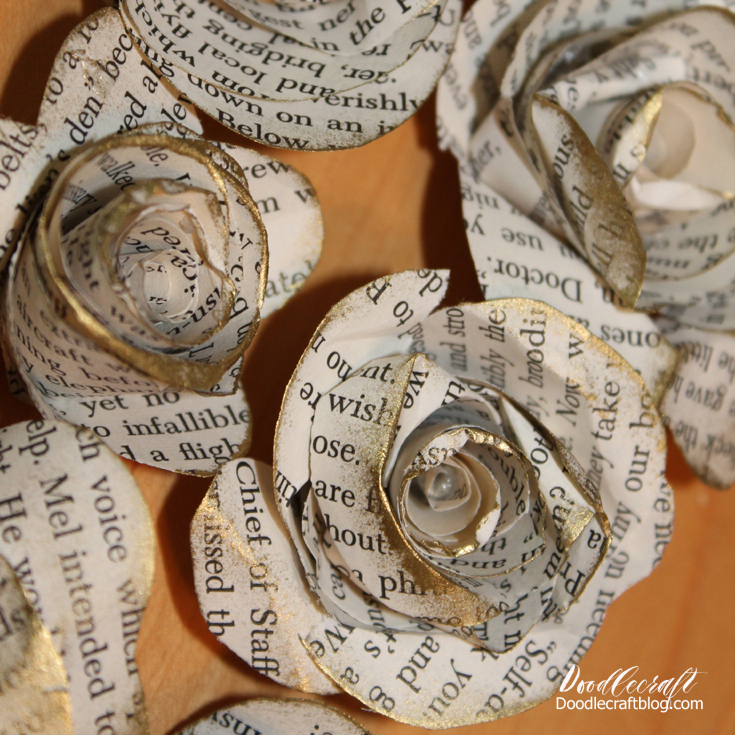 I could make paper flowers all day! 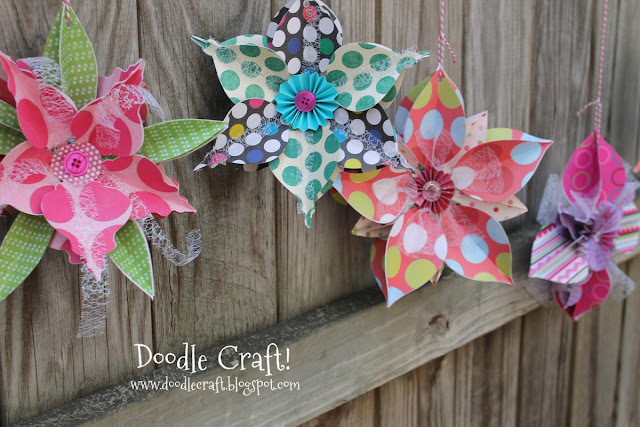 Have you made paper flowers? 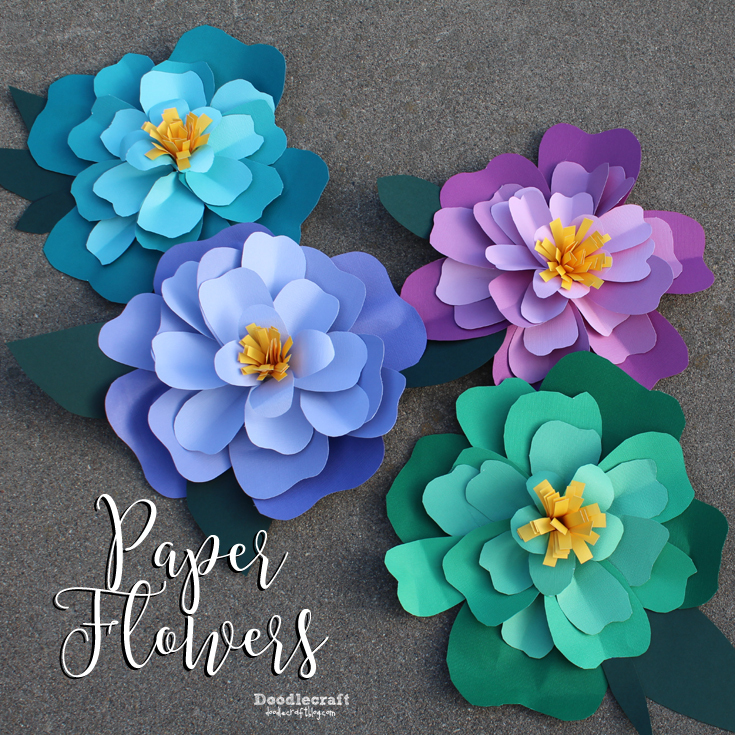 I love paper flowers, here's some more fun ones! Those flowers are so beautiful, perfect for centerpieces.